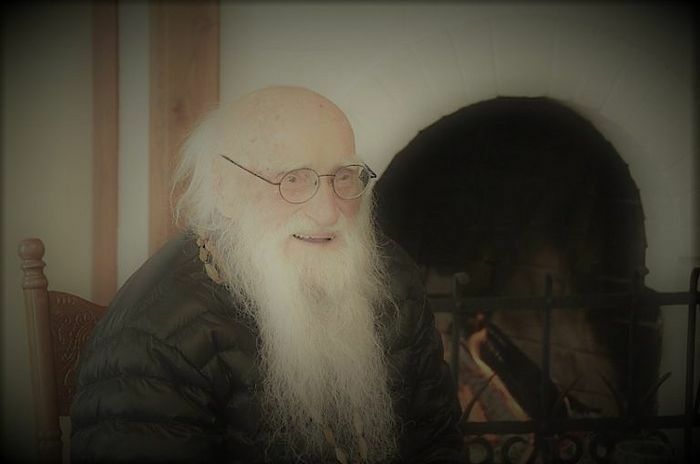 The oldest cleric of the Belyov Diocese and priest of the Nativity of the Theotokos-Anastaseva Monastery, 160 miles southwest of Moscow, Schema-Archimandrite Averky (Shvetsov-Zagarsky) reposed on Saturday in his 102nd year of life, reports the site of the Belyov Diocese. The funeral service for Fr. Averky was served on Monday with the blessing of His Grace Bishop Seraphim of Belyov and Aleksinsky. Boris Vladimirovich Shvetsov was born in 1915 in the city of Vyatka in the Vyatka Province, 600 miles northeast of Moscow into a priest family—both his father and grandfather served in the Church. He lost his father in 1937 when he, together with all the clergy of the Vyatka Province were arrested and later shot. He was later sent to the Finnish and Second World Wars, and while fighting on the Western Front, he was taken into German captivity for 2.5 years, which he recalled as the hardest years of his life, having passed through hunger and sickness. After the war, he and 170,000 other prisoners of war were sent westward, and Boris spent the next 10 years of his life in Argentina. After this period he decided to receive the monastic tonsure as had his father, receiving the name Anastasy. He moved to the U.S. and joined the Russian Orthodox Church Outside of Russia. There he studied at Holy Trinity Seminary and spent the next 50 years serving in 35 ROCOR parishes. 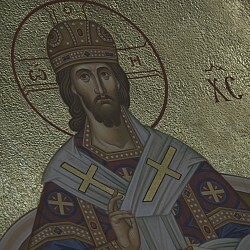 He personally knew several First Hierarchs of ROCOR as well as St. John (Maximovitch). When Fr. Anastasy was already deep in old age, a priest from the Tula Diocese entreated the extraordinary elder to come to Russia, and, after spending more than 50 years in America, he went to serve as the spiritual father in the ancient Anastaseva Monastery of the Tula Province, which now belongs to the Belyov Diocese of the Russian Orthodox Church. A steady stream of pilgrims would constantly come to see him at the monastery, seeking consolation and advice for their spiritual lives. On the eve of Pascha last year he received the great schema with the name Averky.